Our factory has perfected the production of calendered FKM Laminated PTFE Sheet – for those extra demandingapplications where wide resistance to many aggressive chemical cocktails is required. As we all know, PTFE gives universal resistance to most chemicals & FKM provides its own wide ranging resistance, as well as providing the energising part of the gasket. Traditionally available in smaller moulded sheets, J-Flex can now offer calendered roll products, typically 1200/1400mm wide x 10 metre long rolls (dependent upon thickness). In addition, Fluor-A-Com® complies to AfPS GS 2014 PAK Cat 1 + Reach SVHC (EC) 1907: 2006 + ROHS. • Huge stocks – possibly the biggest in Europe. • Wide thickness range – 0.25mm right up to 25mm! • Many widths available – 1000mm / 1200mm / 1400mm / 1500mm. • 10 Point Quality Assurance controlled by our ISO9001:2015 registration. • Easy to understand Material Data Sheets. • Definitive Guide available – FPM/FKM : What’s The Story? • Guide To Fluoroelastomers White Paper available. • Blue & Off-White FDA/EC1935 Tested Food Safe Sheet. • Viton® Closed Cell Sponge Sheets. 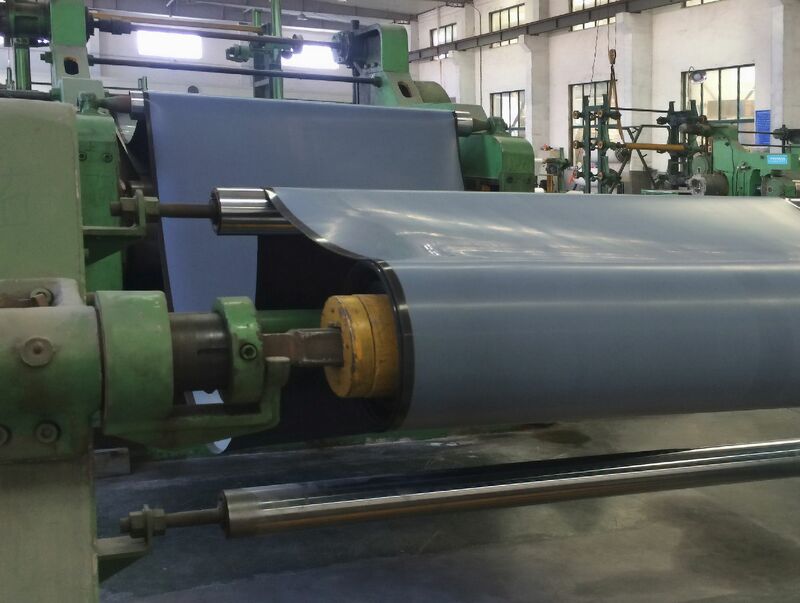 • Laminated FKM / Silicone Sponge Sheets. • Fabric Inserted FKM Sheets. • Viton® Adhesive – bond your own sheets together. For more information on our FKM Sheet and our Specials, please call our friendly, helpful sales team today on 01777 712400. Alternatively e-mail: lance@j-flex.co.uk or michelle@j-flex.co.uk.